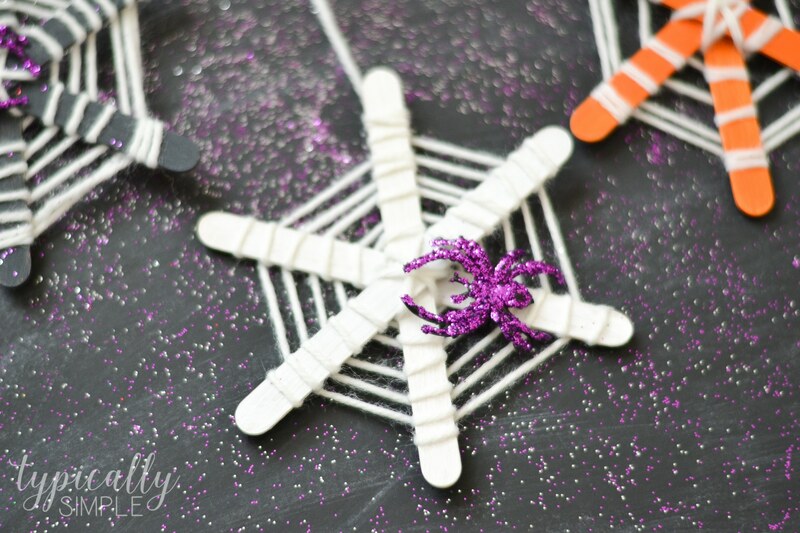 Make these super cute craft stick spiderwebs with the kids for Halloween! 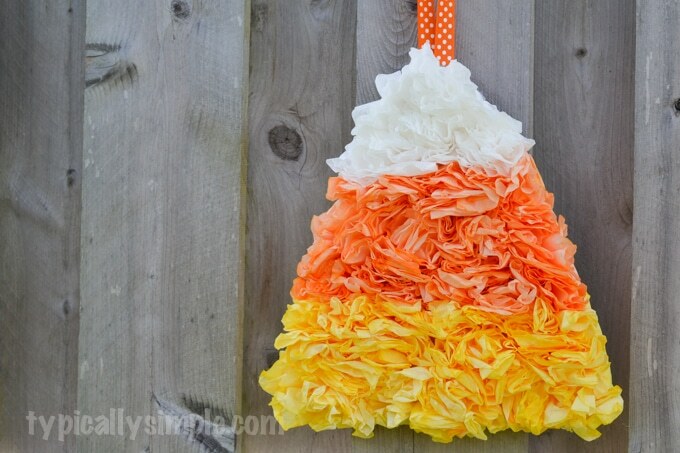 These make a great craft project for classroom parties or for a family fun night! With everything from pumpkins and candy corn to bats and ghosts, there’s just so many cute things to make for Halloween! It’s one of my absolute favorite holidays! 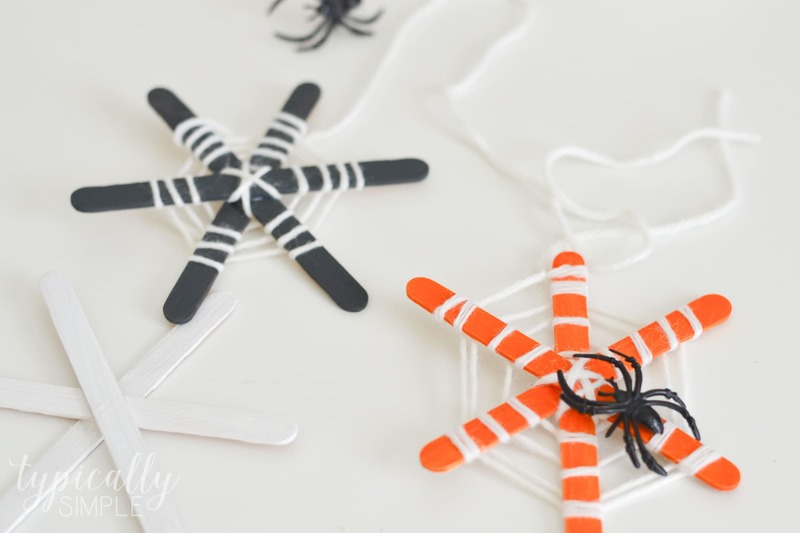 And kids’ crafts for Halloween are especially cute, like these craft stick spiderwebs. Younger kids might need a little bit of help from an adult to make these, but the older kids will definitely have fun making these on their own! 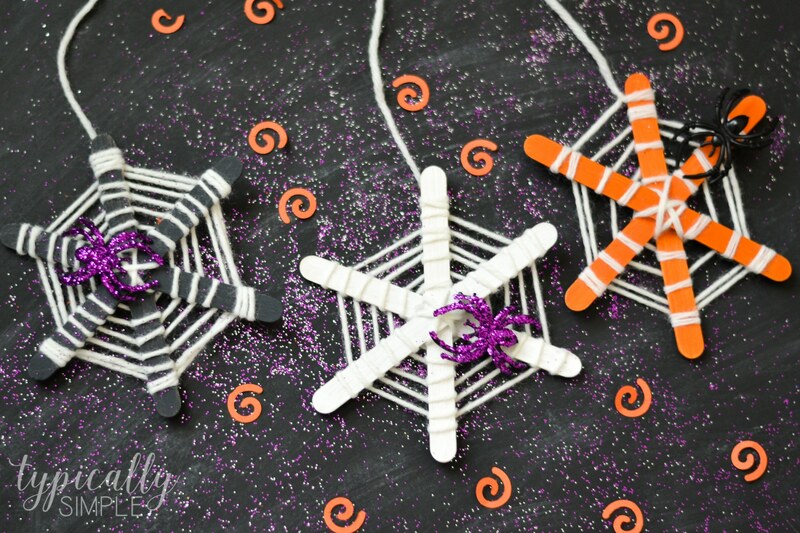 Add a few glitter spiders and you have a fun craft to hang up in the house for Halloween. Start by painting the craft sticks with black, orange, and white paint. 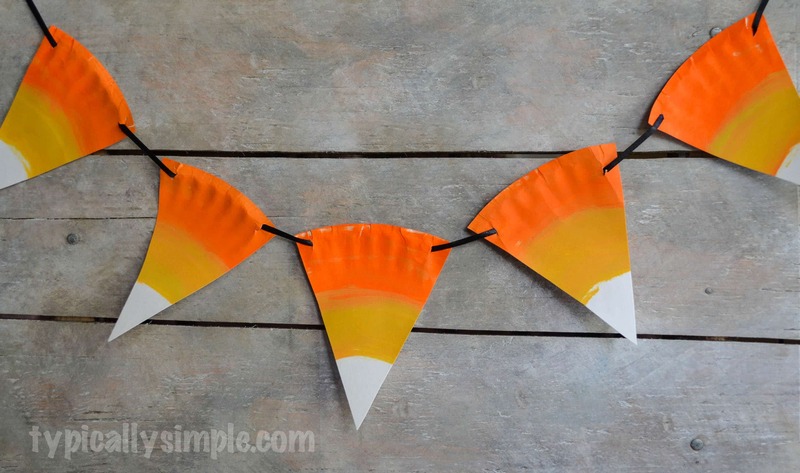 If you are planning to make these at a class party, definitely do all of the painting beforehand so the craft sticks are ready to go. Once the craft sticks are dry, add a dab of glue to the middle of one and place another one on top to make an X. Do this one more time so there are three craft sticks attached together. Hot glue works best for this step because it eliminates drying time, but school glue will still work if you don’t want to pull out the glue gun. Cut off a really long piece of yarn to use for the web. You can always cut off the excess later, so the longer the better! Tie on and knot one end of the yarn towards the middle of the craft stick base. Wrap the yarn around the middle a bit, going through each set of craft sticks to start the web. Now it’s time to start making the web! Take the yarn and wrap it around each craft stick – under, over, around – continue wrapping the yarn this way leaving a little space as you move up the sticks. Once the craft sticks are filled to the top, tie off the yarn and leave a little extra to use for hanging. And if you want to add some sparkle to your spiderwebs, grab a couple of plastic spiders and use a paint brush to add a little glue on top of them. Sprinkle on different colors of glitter and let the glue dry. 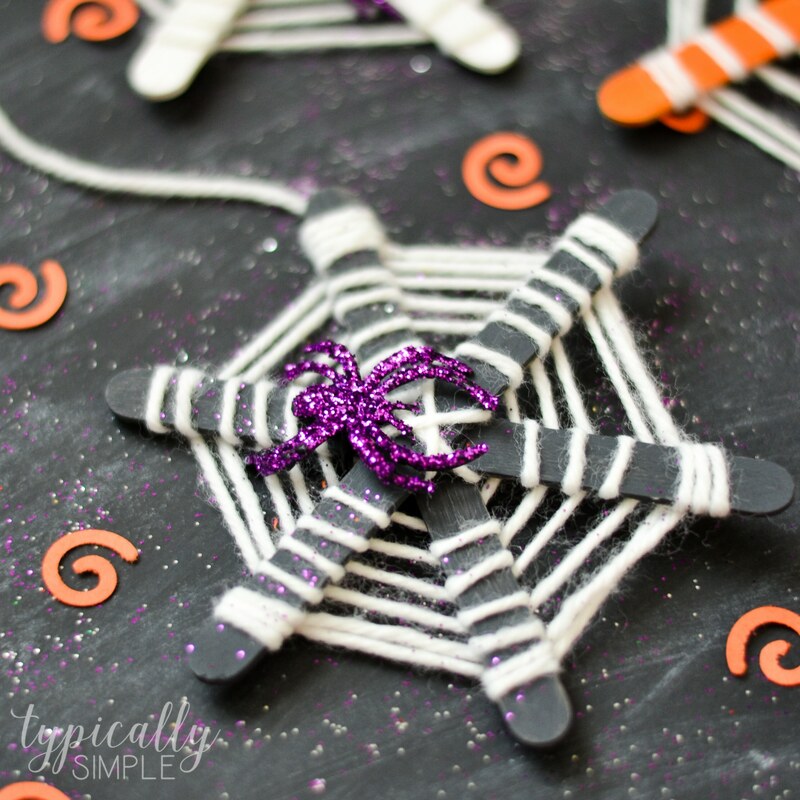 Shake off the excess and attach your sparkly spiders to the webs! 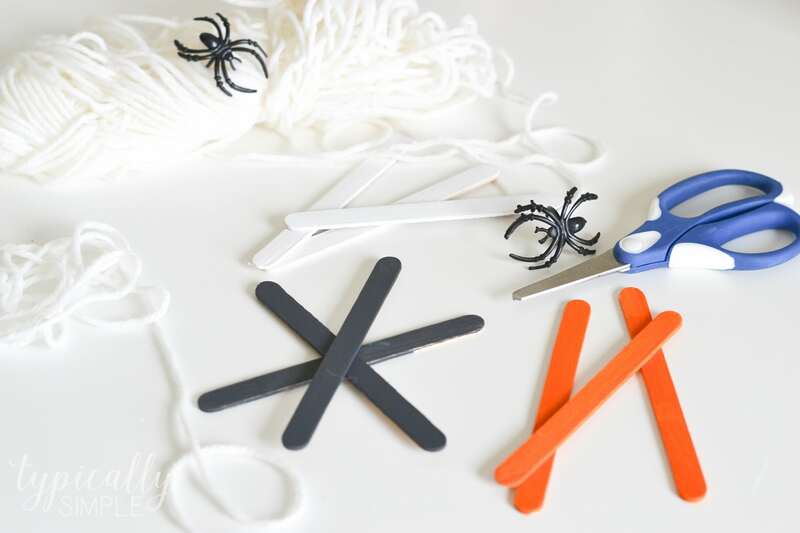 Be sure to check out these other fun Halloween crafts!